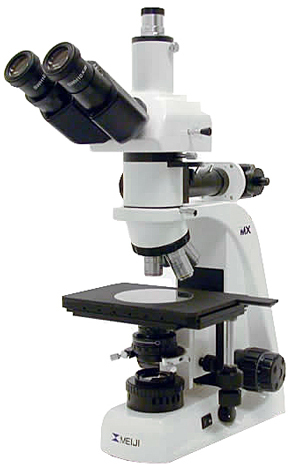 The Meiji MT8000 microscope offers transmitted and reflected light brightfield observation. The series utilizes an all new design of infinity corrected, brightfield EPI plan optics. These infinity corrected optics combined with Koehler illumination provide excellent clarity, contrast, and flat field for metallurgical microscopy. Excellent choice for brightfield semiconductor and mask inspection. Auto-sensing power supply assures worldwide operation.